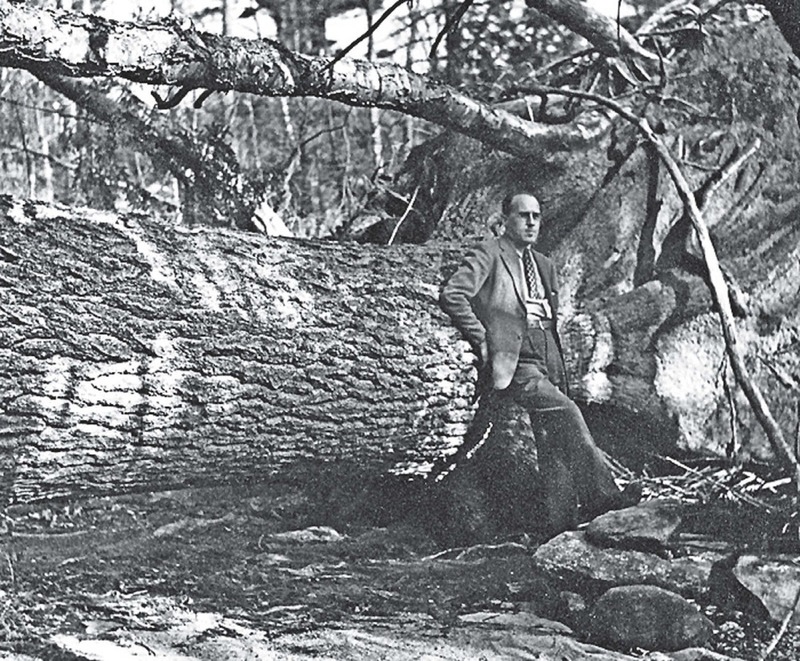 Harvard Forest director Al Cline stands next to a fallen hemlock, 1938. The dark but delicate beauty of hemlocks has inspired writers for centuries—Henry David Thoreau, Emily Dickinson, Ernest Hemingway, and Robert Frost among them. David R. Foster, senior lecturer on biology and director of the Harvard Forest , recently joined that list with the publication of his new book, Hemlock: A Forest Giant on the Edge (Yale). His message is melancholy: within the next 10 years, hemlocks in forests across the United States are projected to die off completely. It seems ironic that these massive trees could be laid low by something so small. Hemlocks can grow more than 150 feet tall, with large canopies that shade forests and streams. The woolly adelgid measures just three millimeters long. Meanwhile, the woolly adelgid had arrived in the Southeast in the 1950s. It began spreading north in the mid 1970s, arriving in New England in the early 1980s, according to Peter Del Tredici, senior research scientist at the Arboretum, where adelgids have already killed hundreds of trees on Hemlock Hill. 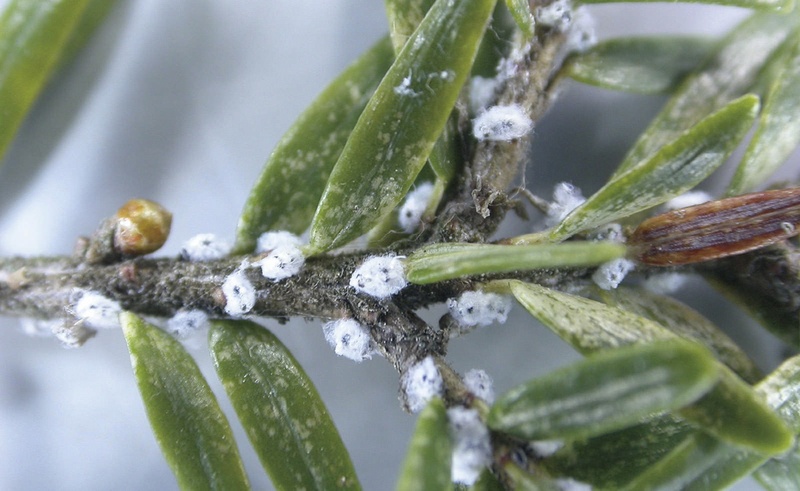 The insect is now present through an entire range of hemlocks, from North Carolina to southern Vermont, southern New Hampshire, and southern Maine. 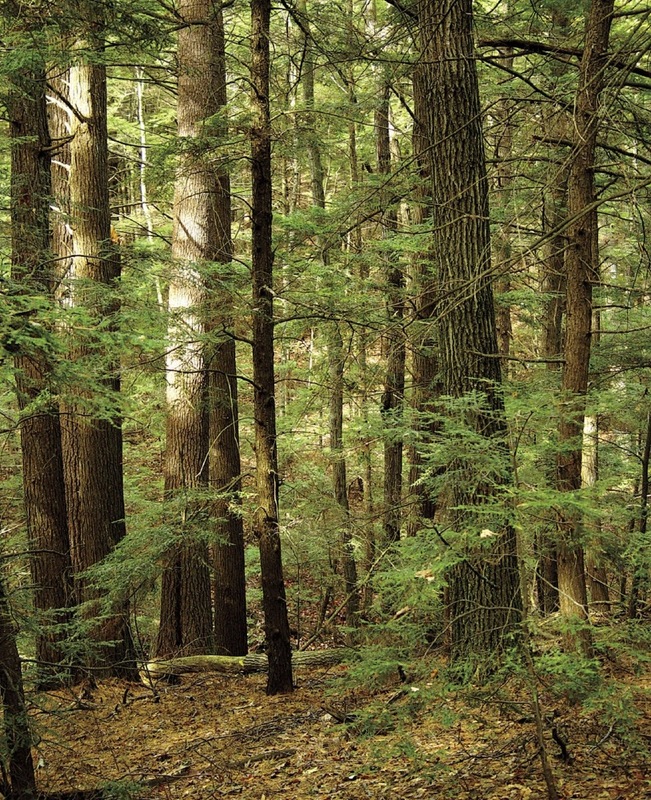 Foster and other Harvard researchers expect to spend the next few decades studying the ripple effects of the hemlocks’ deaths, including possible changes in the planet’s carbon-dioxide levels. “This is a study that will go on for probably the next 20 years, before hemlocks completely die out in forest settings. Then it’ll be a hundred years before the forests fully recover” from the loss of the species, he says.